This will definitely give fans of the show a bit more closure and as a bonus the blu-ray also includes a 16 minute never before seen document that goes behind the scenes of the series, which my stepson thought was very interesting and cool. A must have in your collection and is now out on blu-ray in stores just in time for the holidays. Disclosure: All opinions are my own. 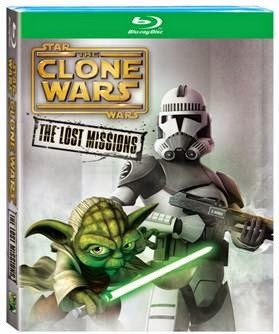 I received a Star Wars: The Clone Wars: The Lost Missions on blu-ray at no cost for the purpose of this review. No other compensation was received.